In Part 1 and Part 2 of CI: The Private Eye Goes Public, we have uncovered a vision dysfunction that research shows affects as many as 1 in 12 children in the US. This binocular vision disorder, known asConvergence Insufficiency (CI), has been thoroughly researched over 10 years with gold-standard multicenter NEI studies and yet 2 years since the landmark research publication of these studies, CI continues to be a silent crippler of children. CI has been coined the silent crippler of children because of its serious impact on near-centered visual tasks such as reading, in the absence of any impact on eyesight or eye health. Vast numbers of doctors in the eye care delivery system continue to ignore the condition or fail to prescribe the evidence-based effective treatment protocol outlined through years of research. The question is why? CI: The Private Eye Goes Public Part 3 will look for answers and report the facts. To begin, the symptomatic patient with CI has an aggregate of symptoms that by comparison to most health disorders would be judged as highly serious. Based on scientific studies, the symptom list includes, but is not limited to, a multitude of frequent problems centered around reading, such as loss of place, failure to concentrate, headache, eye discomfort, and double vision. While there is consensus on the definition of convergence insufficiency as evidenced on a number of websites including The Mayo Clinic, Wikipedia, The College of Optometrists in Vision Development and The American Optometric Association, what is rather perplexing are the organizational position statements with suggestions for treatment that are not in sync with the evidence based research. But before we dig into the mismatch between what science and research shows and what some of the professional eye care organizations are telling their doctor members (and the public), let’s do a quick overview of what we know from over 10 years of diligent research. The history of treatment for Convergence Insufficiency. Eye exercises, often referred to as “pencil push-ups” or convergence exercises. 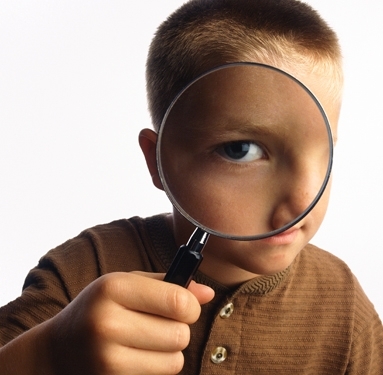 Home-based binocular “fusion” activities carried out by the parent with their child at home. In the last 8-10 years the “home-based” model of care evolved into computer-based systems. Reading glasses with prisms that allowed the patient to read while theoretically reducing the effort to converge. Office-based vision therapy prescribed by the doctor and delivered in the office under the doctor’s supervision. In addition, home oriented “fusion” activities would be recommended which could also involve computer-based systems to reinforce what is done in the office. During the last decade Convergence Insufficiency has been extensively studied by the Convergence Insufficiency Treatment Trial Study Group. The goal was to determine through evidence-based double-blind research, what was the most effective treatment for Convergence Insufficiency. The results of the research have now made it very clear as to which of the common treatments for CI are effective as compared to placebo therapy. Pencil push-ups and related convergence exercises are no more effective than a placebo…NOT EFFECTIVE. Home-based “vision activities” including computer-based programs, are no more effective than a placebo…NOT EFFECTIVE. An outstanding overview of this research was published in 2009 in the paper entitled: Treatment of Convergence Insufficiency: A Current Perspective by Dr. Mitchell Scheiman, et al. With this massive amount of evidence, is it safe to assume that most children with Convergence Insufficiency in the US eye care delivery system will be advised by their eye doctor to obtain office-based vision therapy? This outdated information could be an oversight by the AAO given that they have other links to restricted content referencing the CITT research. However, by restricting the current research, members or the public looking for information on their site could easily be misinformed or mislead. The American Association for Pediatric Ophthalmology and Strabismus has a web page dedicated to Convergence Insufficiency. However their recommend treatment describes “convergence exercises” a similar way of describing pencil push-ups plus the use of home based computer programs. Both methods have yet to be proven as being more effective than a placebo. The American Academy of Pediatrics (section on Ophthalmology) current description of treatment for Convergence Insufficiency represents the most blatant disregard for research on treatment for CI. The information supplied is not only incorrect, but woven into a document that also misleads the public by creating a “straw man” argument, trying to connect Learning Disabilities and Dyslexia to vision therapy. In this policy statement they advocate treatment that is proven no better than placebo therapy. On page 842 they write: “Symptomatic convergence insufficiency can be treated with near-point exercises, prism convergence exercises, or computer-based convergence exercises. Most of these exercises can be performed at home, and extensive in-office vision therapy is usually not required. Alternatively, for other patients, reading glasses with base-in prism or minus lenses can be used as treatment.” This policy statement is also endorsed by: The American Academy of Ophthalmology and The American Association for Pediatric Ophthalmology and Strabismus. Part 3 of CI: The Private Eye Goes Public has shown that the Convergence Insufficiency Treatment Trial, after 10 years of research has identified the proven method of treatment for convergence insufficiency. Yet, there are examples of misinformation still permeating the educational sources for doctors and the lay public. Until there is a unified awareness and understanding by all doctors — optometrists, ophthalmologists and pediatricians–of what the research has proven, countless numbers of children with Convergence Insufficiency will continue to struggle under the visually handicapping conditions of this treatable binocular vision disorder. In order to make an informed decision about conflicting diagnoses or treatment plans, parents of children with Convergence Insufficiency should insist that their doctor be up to date on definitive research. This is not just a reflection on the doctor’s awareness, but their doctor’s opinion, influenced by incorrect information promulgated by their professional organizations. This begs the question as to, why do some professional health care organizations advise their doctor membership, including web-based communication aimed toward the public, adopt outmoded treatment protocols for a vision disorder that can have a serious negative impact on a child’s quality of life? Share the post "CI:The Private Eye Goes Public -Part 3…who’s looking out for the kids?"